I am writing to thank you for your continued support of the people of West Papua towards their goal of independence from the Indonesian Government, via your continued involvement in the Free West Papua Campaign. We are now asking all our UK supporters to talk to their representatives in parliament by sending them this document. We would encourage those of you who do not live in the UK to take similar action in your respective countries. It has now been forty four years since the right to self-determination of the West Papuan people was violated under the false 1969 ‘Act of free choice’, orchestrated by the Indonesian military as a sham referendum, to legitimise their brutal 1963 occupation of the territory, and systematic repression of the human rights of the West Papuan people. Since then the evidence has been indisputable that genocide has been committed against the native peoples of the region, a paper prepared by the Yale Law School for the Indonesian Human Rights Campaign in 2004 found “[There is]in the available evidence a strong indication that the Indonesian government has committed genocide against the West Papuans”. A further study carried out by the University of Sydney claims that the continuation of current practices in West Papua “may pose serious threats to the survival of the indigenous people of the Indonesian province of Papua.” Indeed throughout the illegal occupation it is estimated that 500,000 people have died. These studies simply corroborate my own experiences of life in West Papua. Between 1977 and 1983, my village was bombed by the Indonesian military and many of my family were killed, we were forced to flee and live in the jungle, along with thousands of other highlanders. In response to this I decided to campaign peacefully to free my country from occupation, for this ‘Crime’ I was made a political prisoner, tortured and threatened with death. Later I escaped from prison and travelled to the UK, to live as an exile. In response to the actions of the Indonesian government I set up the Free West Papua Campaign in 2004, this in recent months has gone from strength to strength! But we must now call on all our supporters, old and new, to put pressure on their representatives to support the campaign with new fervour, by asking them to join the All-Party Parliamentary Group (APPG) on West Papua. We have drafted a letter, which is attached, for you to send to your local MP, requesting that they take action on the issue of West Papua, informing them about the situation there, calling upon them to join the APPG and asking them to attend the next meeting of it. The people of West Papua are relying on your actions for their basic human rights to be respected, to be treated with dignity and to be governed by whom they wish! 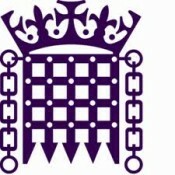 Click here to download letter to send to your MP.